Back in September 2017 A$AP Rocky‘s AWGE branch and Under Armour officially announced their multifaceted partnership. Housed under UA’s Sportswear umbrella, the partnership will see a new line of products along with series of philanthropic community-based programs and its the first time UA has teamed up with a musician. 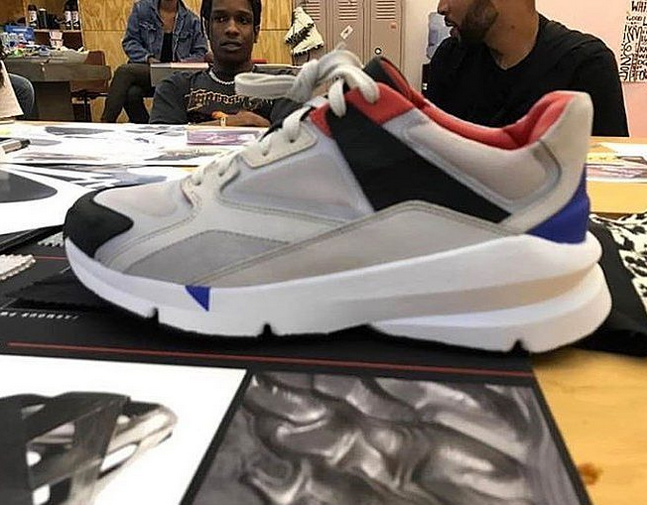 Now thanks to Instagram account called @hypeneverdies, the first image of A$AP Rocky and Under Armour’s upcoming collaboration has been revealed. It seems to take on a beige and grey upper and the silhoutte has some hits of red, blue and black to accentuate the toe cap, inner liner and heel.Dope or Trash?